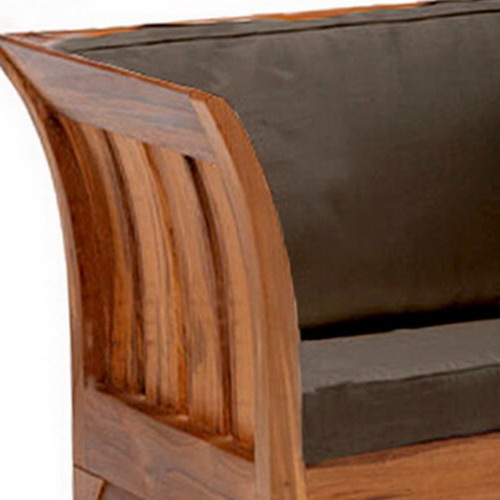 Sofa minimalist be an option if you have room with modern design and materials made from wood retains classic feel. A simple model blends perfectly in room with design completely. A masterpiece of furniture made from solid teak original Jepara with dark brown finishing remained showcase natural features beautiful tropical wood fiber that led to design room luxury and elegance. No better wood fibers other than teak. Strength and durability also proven for hundreds of years as raw material for shipbuilding. Sturdy all-weather and extreme conditions of sea water though. Additional design padded cushions can be adjusted to wishes very suitable and comfortable in use the home and office room. Brown pillow able to adapt all colors the room so both create accents suitability. A length of 95, width 80 and height of 85 cm is solution for a small room so you do not need to worry. 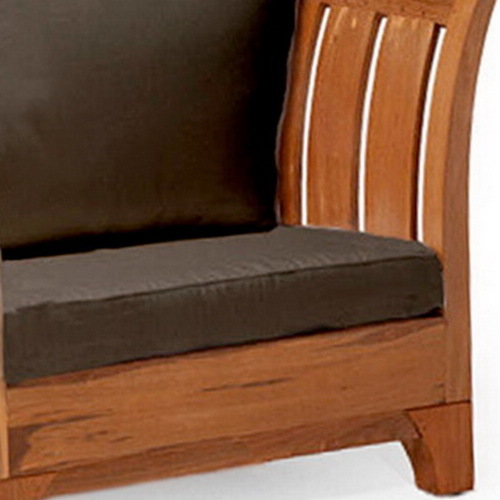 Sofa made from the best and high quality also easy to clean and maintain. If you want a table can be juxtaposed with wood, but always elegant if using a glass table. 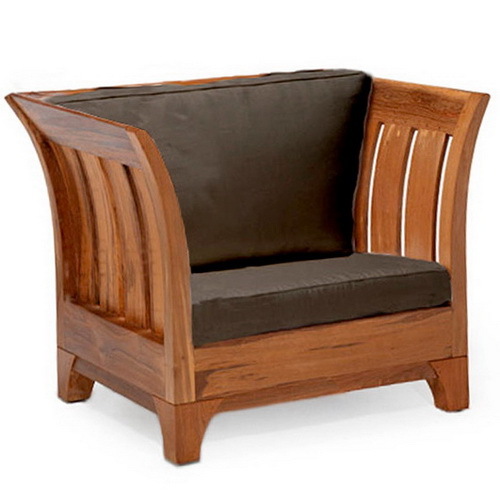 No wood furniture better than Jepara products genuine.